It may be hard to believe in our modern, mobile world, but there was once a time when taking your tunes with you on the go was quite the feat. We’re used to smartphones and MP3 players now, but before even the portable CD player or cassette walkman, there was the mighty boombox. 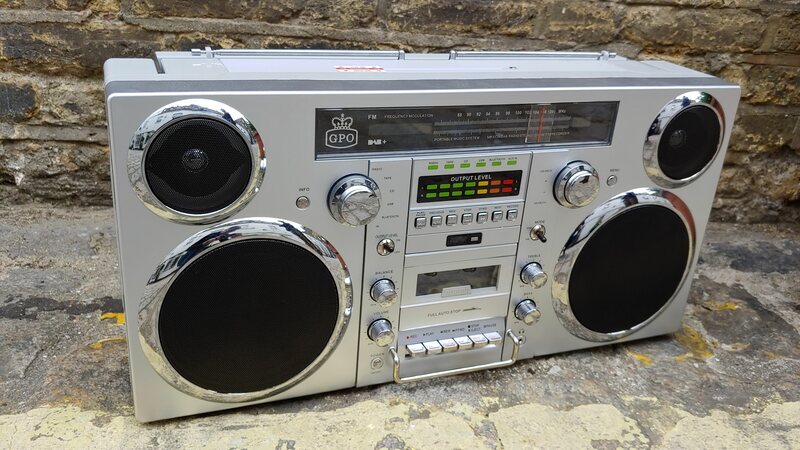 Charmingly bulky, there was no block party worth having in the 1980s and early 90s if there wasn’t a boombox present. But the rise of portable personal audio and the arrival of the Bluetooth speaker later still rang the death knell for the boombox. Looking to cash in on the nostalgia around the hardware design is GPO with the GPO Brooklyn Boombox. Packed full of audio options both classic and modern, it bridges the gap well between old-skool charm and modern audio necessities. With an RRP of £249.99 (around $325 /AU$460), the GPO Brooklyn Boombox doesn’t come cheap – but neither does style, right? If you’ve got your heart set on that boombox look, you’ll be hard pressed to find one with the range of connectivity options offered here, making the Brooklyn somewhat unique. Available now, it’s also very easy to find much below that RRP price – in the UK, for instance, Amazon sells it for as little as £179.99, a much more palatable price point. The GPO Brooklyn Boombox looks, well, like a boombox, thankfully. If you’re not familiar with the classic boombox look, the Brooklyn measures a sizeable 60 x 14 x 30cm, with front firing 40 watt stereo speakers and a carry handle that almost runs its entire length along the top edge. 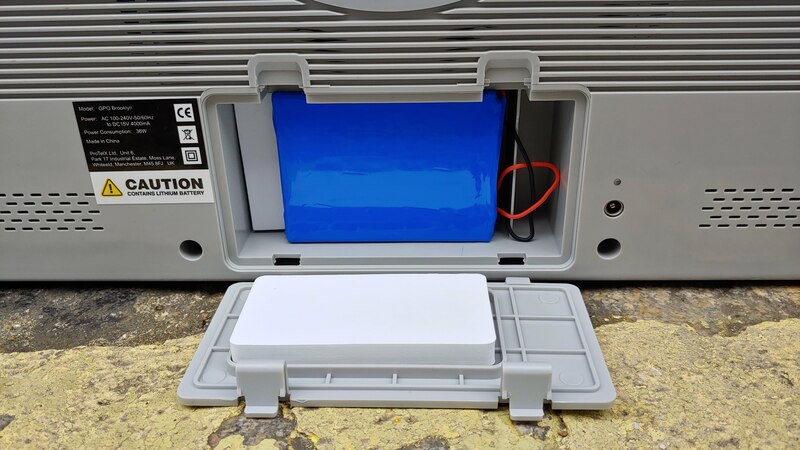 It is, ostensibly, portable then, with a rechargeable battery that you have to connect yourself out of the box, shoehorned in where you’d otherwise expect springs for D-class batteries. However, with an overall weight of 10kg, you’re not going to get particularly far with this without wearing yourself out. But it’s great fun to look at, in a world of broadly similar smart speakers and Bluetooth speakers. There are loads of chrome-finished dials, buttons and switches on the front, each working and serving a real function, huge speaker grilles, a radio dial spectrum and twin antennae, with light-up green-to-red output monitoring lights. They don’t make them like this anymore… and there’s evidence that the Brooklyn is quite literally based on an old design – rather than an integrated battery pack, that rear panel has an area carved out for removable batteries, to be filled with a rechargeable brick liberally padded out to stop it rattling around in the cavity. High-res audio and vinyl aside, the GPO Brooklyn Boombox can handle pretty much any audio source you care to throw at it. 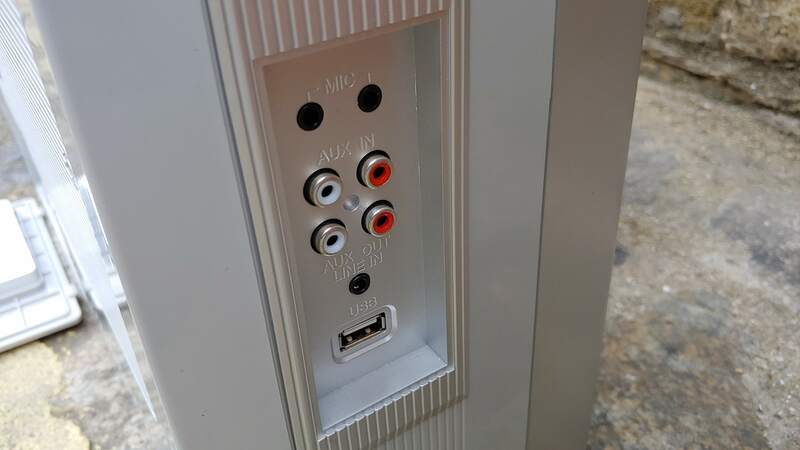 You can play tunes back from a Bluetooth connection, AUX in, DAB radio, FM radio, CD, cassette, USB and RCA AUX In. Sure, there’s no Wi-Fi connection or smart services built in (AirPlay 2, Spotify Connect, etc), but in terms of modernising the classic, it’s about as good as you could hope for. 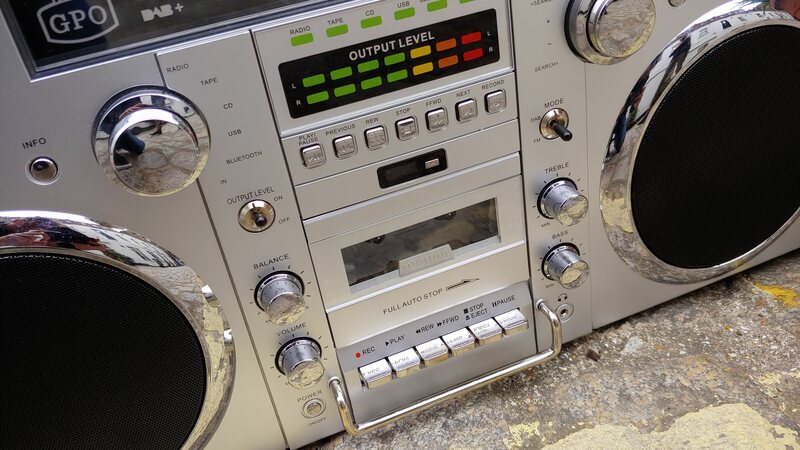 With a cassette deck, you can also go truly old school and record mix tapes again from any of the other sources – should you be able to track down a blank tape of course. What’s perhaps even more interesting though is the ability to record audio to a blank USB stick inserted on the side. With mic input also included, you could clandestinely hold your friends to ransom with digital recordings of all their atrocious karaoke efforts. The boombox was never known for having exceptional sound quality, and the GPO Brooklyn Boombox continues broadly in this tradition. Its 40w stereo speakers have some power behind them, and it’s worth letting them warm up for a few hours before casting judgment on a very lightweight initial presentation. There’s simply a lack of warmth overall to the output – you’ve treble and bass dials to play with, but there’s no escaping the feeling that the enclosure is leading to a hollow sound. A bit more mid-range and bass oomph would help to fill it out. It’s perfectly fine for a party in the park, but think at least about whether you’d truly want this as your primary listening device. 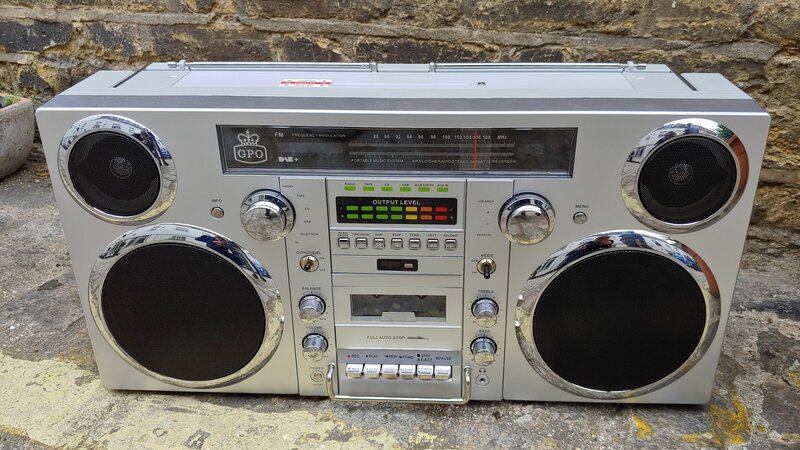 We were pleasantly surprised by the GPO Brooklyn Boombox. Fully expecting it to be little more than a novelty item, a lot of love has gone into making the boombox feel (somewhat contradictorily) both authentically retro and conveniently modern. With all the input sources you can think of, and a fun design that’ll make it a talking point wherever it goes, all that’s lacking is a bit of bass oomph and mid-range clarity. So long as you’re not expecting audiophile performance (which, to be fair, isn’t what you’d expect from a classic boombox anyway) GPO’s Brooklyn is very enjoyable.